Nottingham Trent University (NTU) students set themselves a big challenge. It involved pints. But not the kind you pour down your throat (hardly newsworthy!) but the kind that saves lives. The ‘1,000 Pint Challenge’ was taken on by students after an appeal was made for more blood donors in Nottingham. It’s been a huge success: in just 18 months, hundreds of NTU students answered the call and their donations have now reached the magic 1000-pint mark. “We try to recruit new young, blood donors so they can become loyal and long-term donors,” says Nottingham’s donor centre manager, Dan Stendall. “So we are very grateful to the staff and students at Nottingham Trent University for donating blood and helping us exceed our target and reach 1,009 donations. 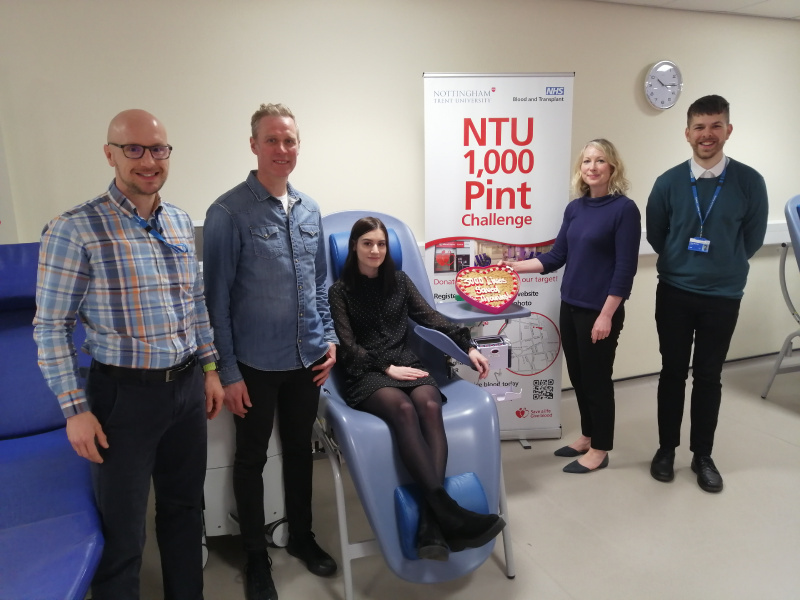 Paul Dodsley, student health development officer says, “The 1000 Pint Challenge was developed from an idea an academic had at NTU. We are extremely proud to be the first university in the UK to achieve this. Our goal was to instil the importance of donating blood regularly to all our colleagues and students. Just outside the city, in nearby Southwell, the students at Minster School have embarked on a similar bid to save lives. 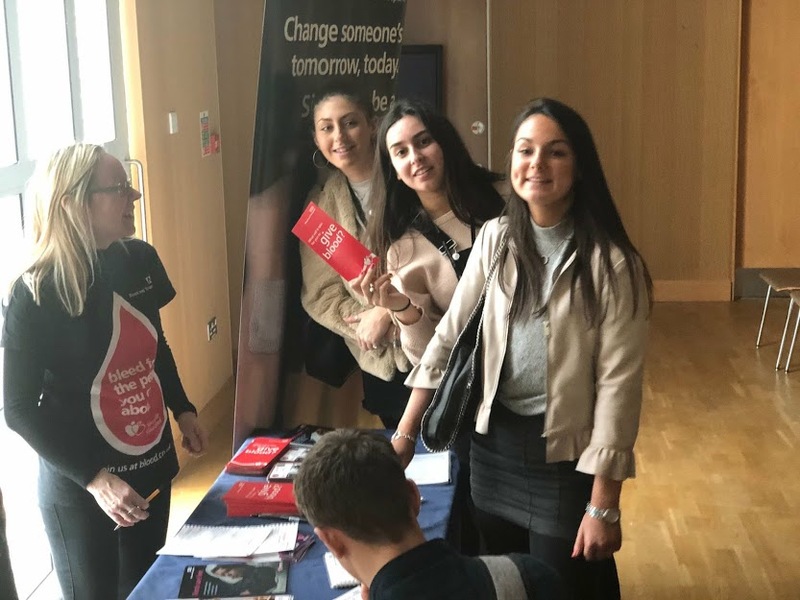 At the request of head girl Selina Rees, our staff visited the Minster sixth form in February to talk about the importance of blood donation, and they were impressed with the enthusiastic response they received, with many pupils registering as donors on the spot. Staff and students from the school attended a donation session the following month at the nearby Southwell Leisure Centre. “As someone who can donate, I feel a moral obligation to do so. If a friend or relative needed blood and I could give it to them, then obviously I would, so why not for someone else’s friend or relative?” says Selina. Deputy Head Rhod Price, who has been giving blood for more than two decades, inspired by his mother’s 50-year stint as a donor, says, “I think that if people get the habit early on they are likely to go on giving blood and so saving lives. “Peer pressure is such a powerful force and there’s no reason it shouldn’t be a force for good. Young people seeing their peers participating in pro-social behaviours such as blood donation are likely to join in and so the next generation of donors is established.